In 1969, when the New City of Milton Keynes was in its infancy, work began on an old derelict barn in the village of Wavendon belonging to Cleo Laine and John Dankworth. Over the next 30 years this Victorian Grade II listed stable-block has become an internationally renowned entertainment venue and education centre which now runs 170 concerts and 30 educational projects evey year. 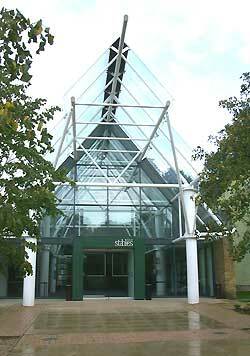 The Stables has been responsible for bringing to Milton Keynes all styles of music including big bands, jazz, soul, folk, pop, country, classical and blues. People from all walks of life, young and old, have been given access to a whole cross section of styles and types of music. It has been able to maintain the intimate atmosphere of a small theatre whilst, over the years, growing in stature and recognition. Over 10,000 musicians have appeared at the Stables since its inception. The original building possessed a small raised stage, no wings or backstage area, minimal office space and a roof that was at the mercy of the weather! Education has always been at the very centre of the Stables ethos and continues to play an important part in the planning of its future. This education, provided in conjunction with local schools, incorporates all stages of the National Curriculum supporting teachers through training. Events have included the Gamelan Festival and a very successful afternoon with the percussionist Evelyn Glennie. Since 1970 John Dankworths sister Avril has been running the National Childrens Music Camps. Nearly 9,000 children from the United Kingdom and abroad have spent one week camping out in the fields below the theatre, making music and having fun sharing their common interest with each other. The children are at all ability levels and all types of music and instruments are covered. The week also includes swimming, sports, camp-fires and barn dancing. The culmination of the week is a show in the theatre. 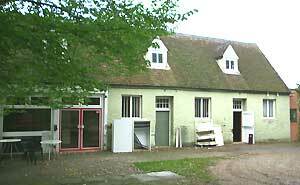 The Stables has always been very supportive of Wavendon C of E First School. Both Jacqui and Alex Dankworth attended the village school. 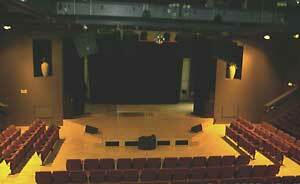 The childrens Christmas concerts have been performed on the old theatre stage. The school has, for many years, been given use of the swimming pool on a weekly basis and many children have conquered their fears and swum their first strokes there. Part of the childrens adventure is the walk to and from the pool through the garden. Each year the children are reminded to be very quiet as the owners of the house work nights! 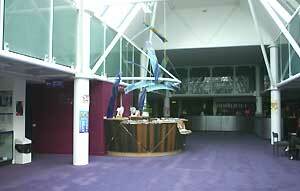 One of the school's finest memories is to have been asked to join in the singing of the "Requiem in Blue" in the Autumn of 2000 at the recently completed New Stables Theatre. They would be appearing with the Danesborough Chorus, and some well respected musicians including Jacqui Dankorth and Leanne Carroll, all led by Jacqui's husband Harvey Brough. The children and staff practised hard for many weeks. On the evening of the Requiem the audience was packed with parents, staff and friends who were treated to a wonderful evening. It was a long evening when many of the children would have been in bed hours before. They rose to the importance of the occasion and only one little sleepy head was spotted!